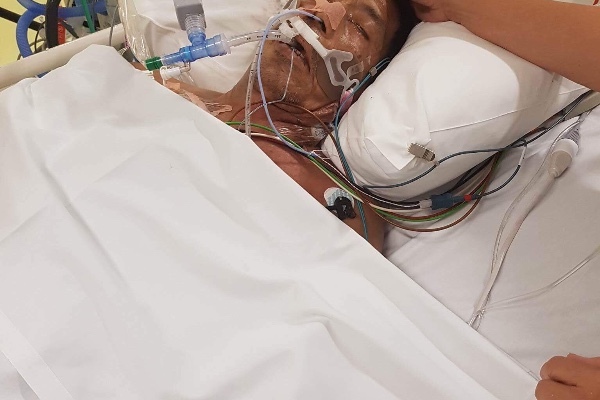 Home / Health / News / Viral / Filipino Goes to Australia and Gets Bitten by a Poisonous White-Tailed Spider! You Will Not Believe What Happened to Him After! 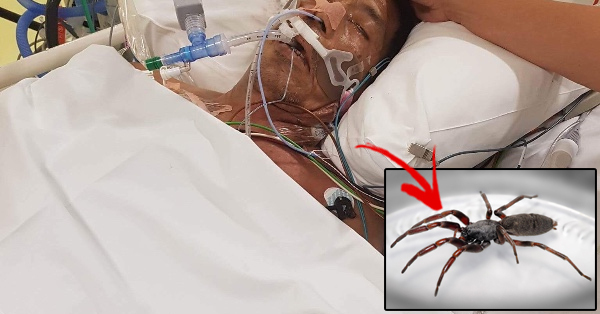 Filipino Goes to Australia and Gets Bitten by a Poisonous White-Tailed Spider! You Will Not Believe What Happened to Him After! A woman named Terry Pareja recently posted a cry for help in the popular fundraising website, Go Fund Me. Ms. Pareja is asking for donations to help with her father's hospital bills. According to the post, her father is currently receiving treatment in a hospital in Melbourne. She says her father went to Australia recently for a reunion with family members. While he was there, he got bitten by an insect. He didn't realize it was serious until it was almost too late for the doctors to help him. According to Terry, doctors believe her father was bitten by a highly poisonous white tailed spider and needs serious medical attention. Unfortunately the cost of the treatments for her father's condition is way beyond their family's financial capabilities. "I am a Filipino.. My dad went to Australia to visit my aunts and uncle since they have not seen each other for the longest time. An insect bit him, but he really wasn't aware not until he felt uneasy. A few hours later, his foot began to hurt and then swell eventually.. Since it was the weekend, they waited for Monday, so the clinic will be opened. Monday came and when they went to the clinic. The insect that bit him was very poisonous. He was rushed to the nearest hospital, which was in Horsham Hospital where his right leg was cut off immediately. Doctors think it was a white tailed spider that bit him. Later that night after the surgery, He was rushed and got airlifted on his way through Melbourne Hospital (The Alfred Hospital) because its really fatal. Now my dad is in ICU having 2 of his kidneys not working and is aided by kidney support, he has support for his blood pressure as well. Doctors also discovered that the necrotising fasciitis (flesh eating bacteria) is still there and suggested that they would also amputate the other leg and both arms.. We do not have much and we are not rich. I am knocking on your hearts to help my dad's medical and hospital bills.."
Any amount will go a long way.